LUDWIG DRUMS: Ludwig Classic Maple series drums with a Natural Satin finish. The sizes are: 7 X 10″ & 8 X 12″ Toms, 13 X 15″ & 16 X 18” Floor Toms, 14” X 20” Bass Drum and a 5 X 14″ Supraphonic Aluminum Shell Snare Drum. 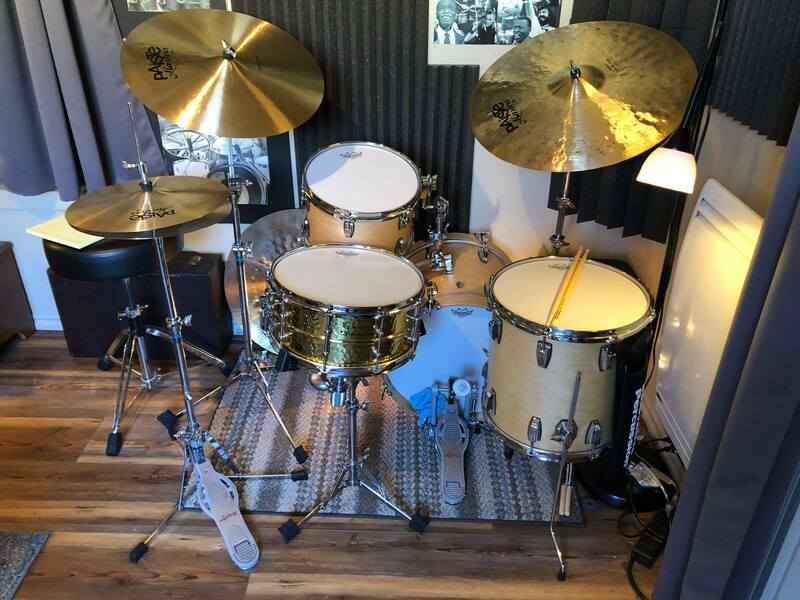 LUDWIG HARDWARE: Ludwig Atlas Classic Hardware. 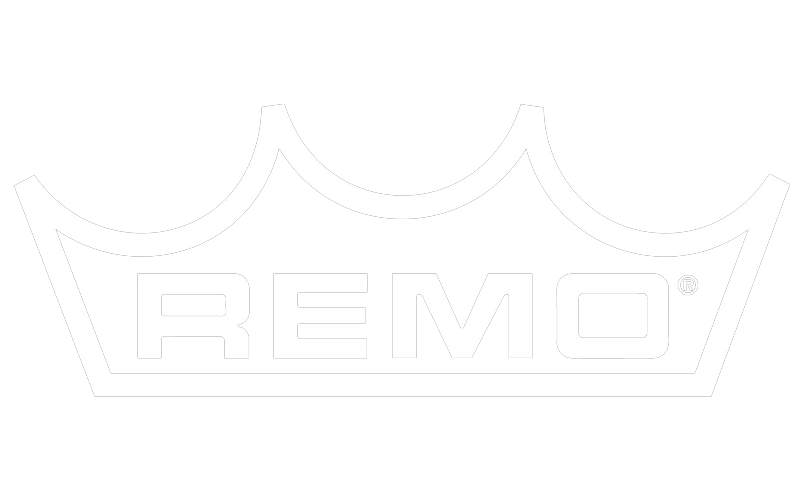 REMO DRUM HEADS: Remo Coated Ambassador drumheads on the top of each Tom and Clear Ambassador batter heads on the bottoms, Coated Ambassador heads for the top of the snare drum and a Diplomat Snare Side head on the bottom. a Coated Ambassador bass drum batter head on the beater side and a Smooth White Emperor Resonant head for the front/logo head. I use Gibralter Bass Drum Muffle strips on both heads for dampening and a small folded towel between the bass drum pedal and head for additional dampening when needed. PAISTE CYMBALS: Paiste Formula 602 Traditional Series cymbals: 14″ Medium Hats, 16″ & 18″ Paper Thin Crashes, 20″ Thin Crash (this is my RIde), 20″ Flat Ride (w/ two rivets), 18″ PSTx Swiss Thin Crash and 8″ & 10″ Signature Dark Energy, Dark Energy Splashes Mark 1. 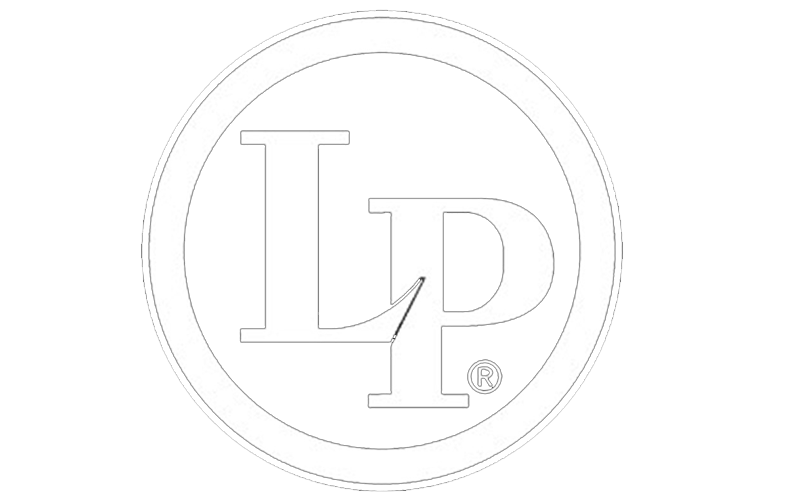 INNOVATIVE PERCUSSION STICKS: Innovative Percussion Legacy Series Maple Wood 7A drumsticks. This is my Ludwig Classic Maple “Jazz” kit which have a 7 Ply all Maple shells with 45 degree bearing edges. The finish is Satin Natural Maple Oil. The sizes are as follow: 8 X 12″ Tom Tom, 14 X 14″ Floor Tom and a 14 X 18″ Bass Drum. The heads are Remo Coated Ambassador heads on the top and bottom of the Toms. The Snare Drum is a Ludwig 402 with a 6.5 X 14″ Hammered Brass Shell with a Remo Coated Ambassador batter head on top and a Diplomat Snare Side head on the bottom.The Bass Drum has a Coated Ambassador batter head and a smooth white Emperor Ludwig Logo head for the front/resonant head. Muffling is done with a small folded towel placed between the bass drum pedal and drum head. 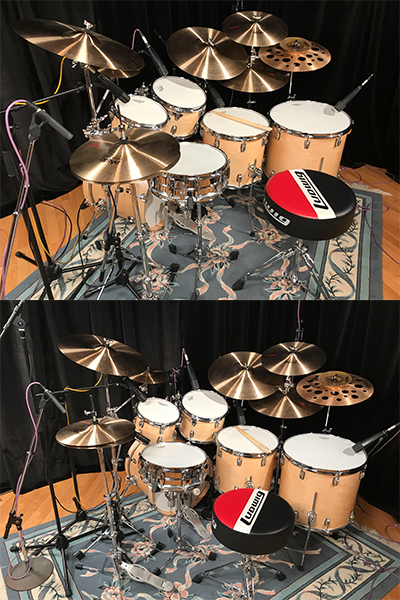 I am using Ludwig Atlas Classic Hardware, Paiste Masters series cymbals” 14” Thin Hats, 19” Extra Thin, 22” Dark Crash Ride and a 22 Swish, Innovative Percussion Legacy Maple 7A drumsticks, WBR-2 Brushes and Ahead Cases to safely transport everything. I also transport my drums on a Groove Gear Hand Truck. Thank you to Ben Goldberg and Uli Salazar at Ludwig for your excellent help with my Ludwig Drumsets. I play a combination of Paiste Cymbals. 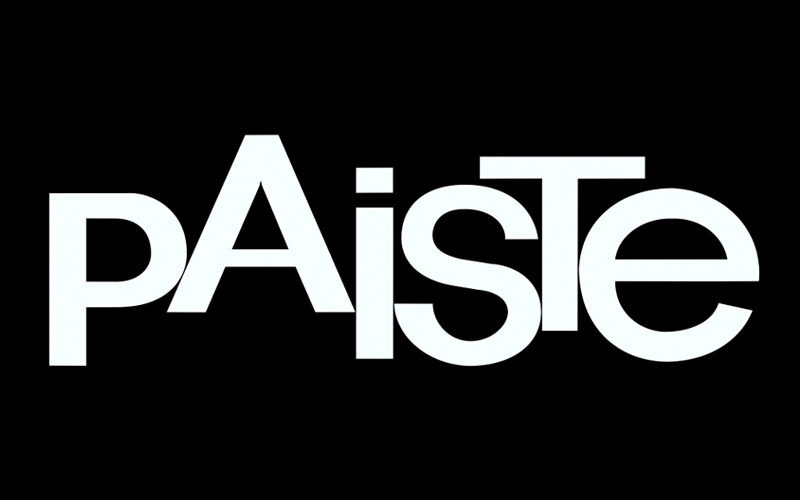 Thank you to Javier Caudillo for all your assistance with my Paiste cymbals! For my “Studio” kit, I use Remo Coated Ambassador drumheads on the top of each Tom and Clear Ambassador heads on the bottom, a coated Ambassador head on the the batter side of bass drum and a Remo Smooth White Emperor Ludwig logo head on the the front and Gibraltar Muffle Strips on both heads for dampening. The snare drums feature Remo Coated Ambassador batter heads and Ambassador Snare Side heads for bottom heads. For my “Jazz” Kit, I use Remo Coated Ambassador heads on the top and bottom of each Tom. The snare drum has a Coated Ambassador head on the top and a Clear Diplomat Snare head on the bottom. The bass drum has a Coated Ambassador head on the batter side and a smooth white Emperor Ludwig Logo head for the front. Muffling is achieved with a small folded towel placed between the bass drum pedal and the head. Thank you Bruce Jacoby for all your assistance with my drumheads! I use the following LP Cowbells: Mambo, Salsa, Bongo mounted on the bass drum or the Black Beauty cowbell mounted to a bass drum pedal to the left of my hi-h for left foot Clave. I also use an, LP Hand Hammered, Brass Jingles Tambourine. Thanks to Memo Acevedo for his assistance with my LP Cowbells and Tambourine! I use the 7A Maple Wood Legacy Series Wood Tip model Drumstick for: combo Jazz, Big Band Jazz and some Latin Jazz music. I use the 5A Maple Wood Legacy Series Wood Tip model Drumstick for: Rock, Funk, R&B, Hi-Hop, Fusion and some World Beat styles. I also use the Wood Handle Synthetic Bundle Rods BR-5W, Slim Boom Bundle Rods BMZ-1 and the Bundle Light Bamboo Rods BZW-1. 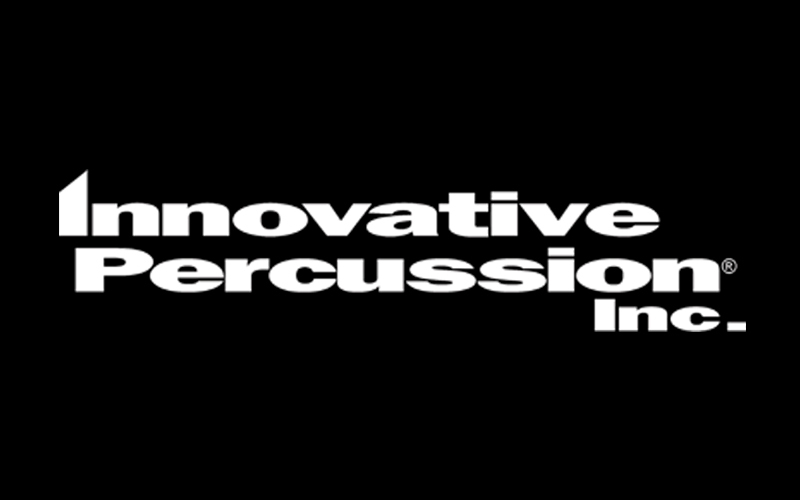 Thanks to Erik Johnson and Rich Mangicaro at Innovative Percussion for handling my particulars with sticks and more! 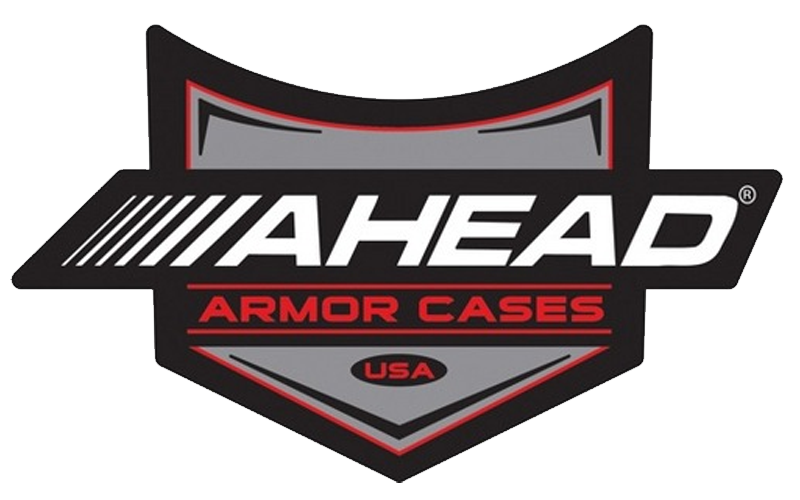 I use Ahead Armor Drum Bags, Ahead Armor Deluxe Cymbal Bags, Ahead Armor Ogio Hardware Sled and Ahead Practice Pads and Stands. Thank you to Ben Goldberg for handling my drum case needs! 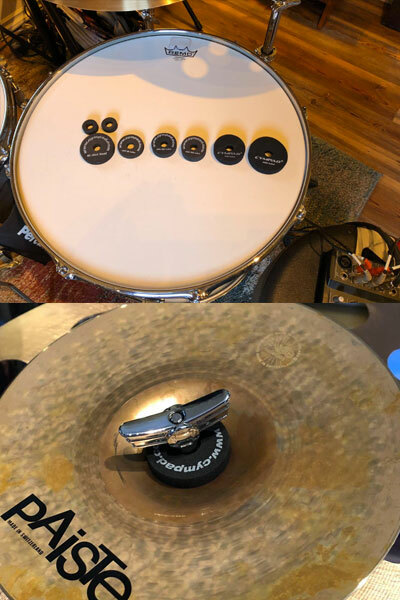 Cympads are foam washers that replace the standard felt washers on your cymbal stands. They allow the cymbal to have a wider tonal range and longer sustain. They come in a variety of thicknesses, widths and colors.